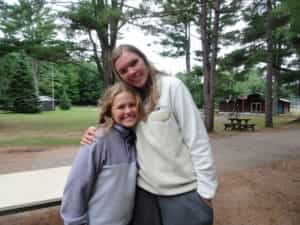 My daughter is a first year camper at Camp Woodland. Picture a beautiful, smart six year old girl who is very shy and has limited athletic coordination. In the Northern Virginia girls soccer league, my daughter is very easy to spot. Look for “Cinderella,” the princess who runs away from the ball. Let’s just say she isn’t naturally adventurous. She’s especially fearful of dogs and very picky about what she eats…all the time. Like most parents, I hate to see my daughter struggle, or worse, fail and quit. So, you can imagine my apprehensions with her being the youngest girl in a full six-week camp program. 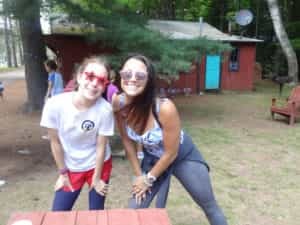 If she is quiet and reserved in her 1st grade class from September-June, how will she connect with new people (from multiple countries) in a contained camp cabin? How can she succeed in sports activities when she’s accustomed to struggling, failing, and quitting? 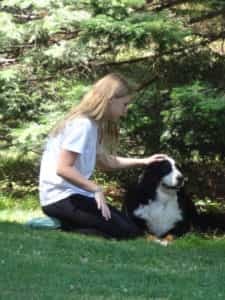 If she’s afraid of a soccer ball rolling in her direction, how will she respond to a thousand-pound horse or even the smaller animals on the camp property? As a Dad visiting Camp Woodland in July, I was surprised to see these questions were not only unwarranted, but absurdly funny. How did my daughter embrace archery, swimming, and tennis without fear of failure or inferior comparison to others? How did she become a comedian in her cabin and an enthusiastic contributor performer in Song Contest? Why does she love riding large horses (Snoopy, Kazoo, and Tango) when her boot heels don’t even reach their flanks? Why does she greet the camp dogs Jake (Bernese Mountain Dog) and Juno (beagle mix) like fellow campers instead of hungry timber wolves? How does she learn to independently clean her group table in the dining hall and sprint to cabin cleanup? 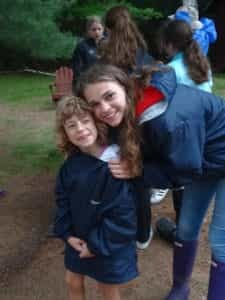 In three short weeks at Camp Woodland, how did exactly did my daugther overcome her traditional limitations? After serious reflection, I’ve conclusively ruled out Northwoods mosquitos, bug juice, the camp bell ringing a dozen times a day, bunkbeds, or daily immersion in beautiful Sand Lake. After following her around for three days, there is one and only one reason that explains this. It’s the counseling staff. They are simply more committed to my daughter succeeding than she could ever be committed to giving up. Each time she struggles, the counselors double-down on attention, encouragement, and a simplified learning approach. They slow down, repeat the action, or find another way for her to succeed and have fun – until she does succeed. Patience from the counselor transfers to patience in the camper. 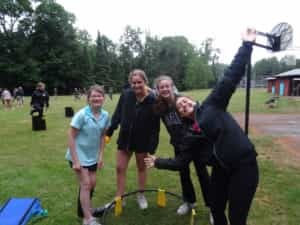 The generous ratio of staff to campers allows counselors the time and focus to ensure every camper earns personal victories throughout each week. It’s a safe environment for kids to be themselves, disconnect from TV’s and iPads, and be creative with others. Success then becomes a habit and an expectation for every camper, even for activities they’ve never attempted. Every day is a new chance to learn and experience success. Woodland counselors are committed to all campers meeting their growth potential. Sam gives encouragement by saying, “The horse is not in charge of you. 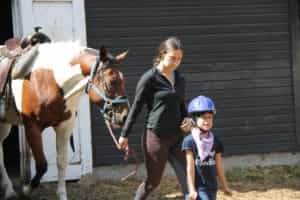 You are in charge of the horse.” Ana reminds campers of the racquet skills, athletic movement, and effort the girls need to bring to each tennis drill. Jackie is in the water with her instructional swim class demonstrating the fundamentals of stroke coordination. Woodland counselors take their job of youth development seriously! Similarly, the camp culture reinforces campers responsibilities to themselves and each other. Mommy and Daddy are not there to sweep up dining hall tables and sleeping cabins, so everyone has to pitch in as a team. 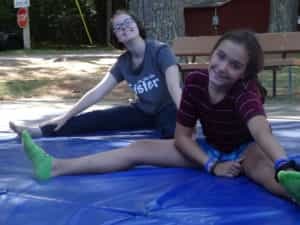 Along with rest hour, recreational swims, campfire nights, and Sunday special events – responsibility is built into the daily routine of every camper and counselor. It becomes something my daughter takes pride in, rather than a time to dig in her heels in protest. Actually, please visit dictionary.com for the proper definition of “rebellion!” With a broom in her hands and a smile on her face, she tells me if she does an exceptional job over a few days, she earns ice cream from Cathy’s! While I got plenty of hugs from my daughter during my visit, she hasn’t been the least bit homesick. She is having far too much fun with her cabinmates to talk about her room, dresses, toys, or neighborhood friends. The Camp Newsletter that I get in the mail is quite helpful for me to understand the program activities, weekly developments, and the cast of audacious camp characters. When she returns home in two weeks, I expect to hear these retold from the individual viewpoint of a confident 7-year old camper!